Choosing a new watch that fits your needs, styles, and budget at the same time is NOT a simple task! Of course, there are tons of different things to discuss about when it comes to picking up the best mens watches possible. And each person will have his own definition of a good timepiece. But how can you determine what could be your ideal watch when you have to face an endless sea of choices out there on the market? If you’re asking yourself that question, then you’re at the right place! My name is Luka, and welcome to my little site that is dedicated to this topic of choosing the best mens watches for yourself. Here, you will find my list of favorite watch brands that not only me but many people around the world trust and praise about. Their top products can definitely help you in achieving your personal goals. You will also find many reviews on specific products so that you will know exactly the ins and outs of them before making the final decision. Below is a list of 10 famous watch brands that I know their products could deliver what you want. Now, grab a cup of tea, sit back, and enjoy! Hope you can find what you’re looking for here. - Founded by Louis Brandt in La Chaux-de-Fonds, Switzerland, in 1848 with over 150 years of history. - 21 times nominated as official time keeper for the Olympic games. - Chosen by NASA as official chronometer in 1965. - The first watch to land on the Moon with Neil Amstrong and other Apollo 11 crew members. 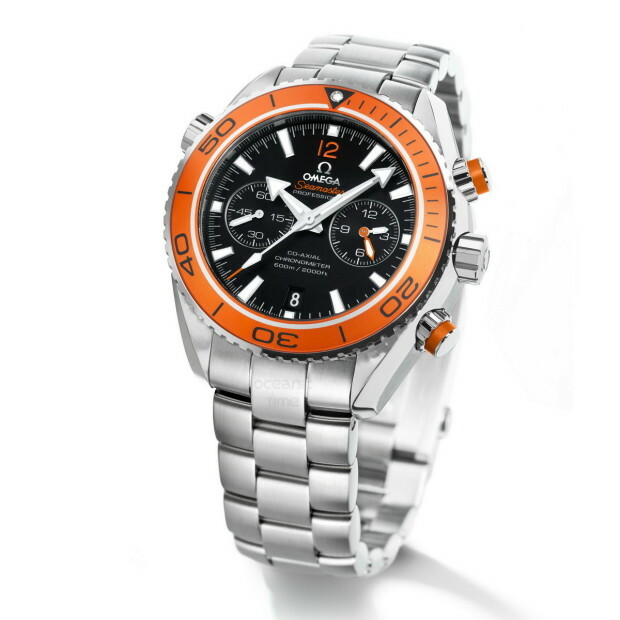 - Omega watches are highly collectible and have auras that capture people’s interests and admiration. See my top 3 favorites for Omega here! Business men, Authority figures, Watch collectors. - Founded in 1860 by Edouard Heuer in St-Imier, Switzerland with the name Uhrenmanufaktur Heuer AG and renamed to TAG Heuer in 1985. Over 150 years in watch making history. - A luxury watch brand of innovative spirit with a long list of sports and Hollywood ambassadors. TAG Heuer has been chosen as the official time keeper for many world-class sport events. - Well known for their in-house Mikrograph movement which is accurate to 1/100 of a second. See my top 3 favorites for TAG Heuer here! Business men, Sport lovers, Watch collectors. - Started back in 1924, with over 90 years of history, Citizen pioneered some of the world’s most well known technologies used for creating high quality watches. - Innovative and precise, Citizen watches have always been top choices for ordinary people around the world. - Parashock and Parawater were 2 of Japan’s very first shock and water resistant watches manufactured and introduced in 1956. - The innovative and environmentally friendly Eco-Drive technology that uses light as a power source really leveled up the company’s reputation in the watch making industry. - In 2003, the company stepped ahead of time with the introduction of Stiletto, the world’s thinnest and light powered watch. See my top 3 favorites for Citizen here! Suitable for everyone. - Founded by Joseph Bulova in 1875. The company holds a strong record of watch making history with over 130 years in the industry to date. - Precision, innovations, technologies, and production have always been the strong and primary aspects that the company put much effort in. 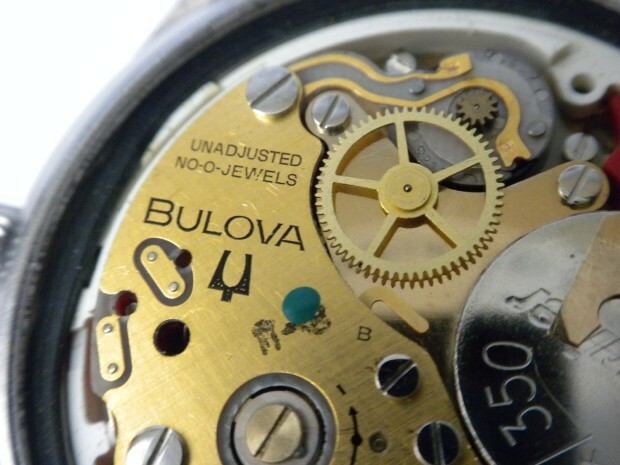 And the invention of the Accutron watch marked a turning point in watch making for Bulova. - The company was once a respectful rival to Omega in the race to become the first watch that lands on Moon during the 1960s. - The Citizen holdings bought Bulova in 2008, and together, they’re now the world’s biggest watch manufacturer. - Precisionist, a new and innovative type of Quartz watch with smooth sweeping second hand and is accurate to 10 seconds a year got introduced in 2010. See my top 3 favorites for Bulova here! Suitable for everyone. - Founded by Raphael Picard in La Chaux-de-Fonds, Switzerland in 1837, Invicta has a solid history of over 170 years in the watch making industry. - The products of the brand could range from budget Quartz watches to high-end Swiss-made chronometers thus giving people tons of choices for their own needs. - The Invicta Care Foundation is a non-profit organization founded by the company whose mission is to aid under-developed areas and charity groups all around the world. See my top 3 favorites for Invicta here! Suitable for everyone. - Founded in 1984 by the Kartsotis brothers, Fossil is one of the younger watch making brands that offers a wide range of products for customers worldwide. - Well known for their innovative, fashionable, and passionate designs in every products they manufactured. - The company, in 2006, partnered with the National Football League of ths US to make special watch collections for all of the team in the league. The company’s products also deal with a special market of customized watches. See my top 3 favorites for Fossil here! Suitable for everyone. - Founded in the Ginza area of Tokyo, Japan, in 1881 by Kintaro Hattori. Seiko has been in the watch making industry for more than 130 years now producing world class products that serve people world wide. - Seiko focus solely on making high quality Quartz and mechanical watches with varying price ranges to meet the needs of everyone. - In many major sport events before, the brand was chosen to be the official time keeper of the event. 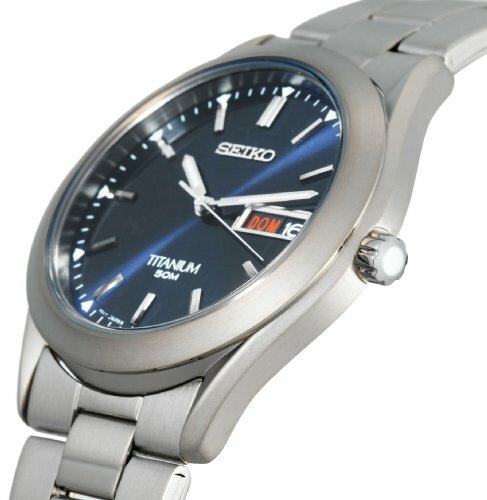 - In 1969, with the release of the Astron, Seiko introduced to the world the first version of the Quartz watch. - Their famous watch series is the signature Kinetic product line which combines the self-powered aspect of automatic movement with the accuracy of Quartz. See my top 3 favorites for Seiko here! Suitable for everyone. - Founded in 1989 by Henrik and Charlotte Jorst in New York, Skagen has is one of a few younger watch making brands that holds respect from competitors and admiration from customers all around the world. - Their products emphasis simplicity and craftsmanship by which watch collectors and regular customers get excited about. - The brand represents a passion for the Danish aesthetic, a refreshing air in the world of Swiss-made and Japanese goods. See my top 3 favorites for Skagen here! Suitable for everyone. - The Casio company entered the watch making industry in 1974 with the release of the first Casiotron watch that can display date and updating it automatically each month and year. - The company’s products are well known for their sporty designs, innovative and accurate time keeping methods, and very reasonable price entries for everyone’s needs. - In 1982, the company released the first combination of analog and digital watch which was a revolution back in time. - The famous watch series of the brand include the Casio G-shock, Databank, Edifice, Oceanus, Wave Ceptor, and many more. See my top 3 favorites for Casio here! Suitable for everyone. - Formerly Waterbury Clock and lately renamed into Timex in the early 1960s, Timex holds a strong over-150-year of history of watch making excellence with great products and innovations. - Product quality and fashionable design are the company's most significant strong points. - The watch brand had chosen to be the official time keeper of the ING New York City Marathon in 2008. - Timex has a long list of world-class watch series such as the Salvatore Ferragamo Timepieces, Valentino Timeless, and more. 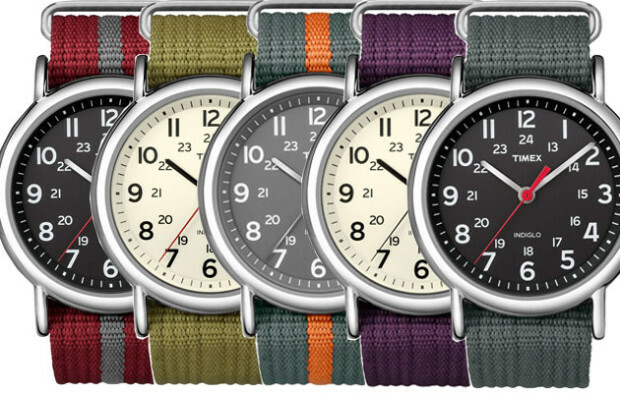 See my top 3 favorites for Timex here! Suitable for everyone. So, hopefully by now, you’ve had your favorite watch brand in your mind so that you can process further with your final decision. However, you have to understand that a watch brand might have an endless list of product lines in which many different watches get categorized under. That’s why you need to read this part of my guideline. Here, I will list all the main features you should take a look at before picking up new mens watches. So, this the first question you have to answer. Which type of display would you want to have with your future timepiece? Perhaps the biggest advantage of analog chronographs is the beauty it brings along. It’s more attractive to people. And when you want to impress the ones around you, wearing an upper-class analog watch like Omega, or TAG Heuer will definitely help you in achieving that goal with the least effort required! Wearing a high quality analog watch (not necessarily means a luxury one) also make you feel better in important events such as company meetings, or other important events. Because you know that you’re having a signature item of men on your wrist that people can look at and admire. The analog display also makes it easier to read time at a glance. And when you’re in a low light environment, this type of display will save you especially the ones with luminous hands or dials. For digital watches, perhaps the biggest advantage of them over analog ones is that they can show you time exactly up to the second. Digital products also bring you more features and functions than an analog wristwatch could offer simply because they’re integrated electronic circuits! And thanks to the nature of their structure, digital watches seem to resist more to damages from sudden drops or hitting the wall. It’s because they don’t have any “moving” part inside comparing to the analog counterparts. So, what’s your choice? I think it’s reasonable for each person to have his own taste of what could be his best mens watches no matter if they’re analog or digital. Me personally, I would like to have both of them for occasional style changes. Quartz or Automatic or traditional Mechanical movement? The watch movement is, no doubt, the most important part of a watch. It’s like the heart of a living entity. Without a reliable movement, the watch will fail in keeping time, which is its primary and most basic function. And no watches will be classified as the best mens watches without this basic feature! There are basically 3 main types of watch movement that you will encounter in nowadays’ watches. And the first type of movement that I want to talk about is the traditional mechanical movement. With this old-school engine, you will have to wind the watch manually to keep it ticking around. And many believe that their accuracy of time keeping is not that great. However, there are also many watches with this type of movement can keep time as accurate as other modern movements. And the reason why people still prefer mechanical watches especially luxury ones is that they represent master craftsmanship, beauty, the style of the wearer, and simply act like high-end jewelries that people will look at and admire. That is what you have in a few watches from the collection of Omega or other high-end watch makers. The second type of movement that I want to cover is the Quartz movement. Considered to be the most accurate watch movement used in commercial products, with this engine, you don’t have to wind anything. The watch will run with just a battery, and it can last for a very long time. Quartz is also the most popular choice for modern mens watches. Not only because it’s accurate but also it’s easier for watch manufacturers to add in the styles for their products thank to its compact design. You can see this movement in action in many collections from Casio, Citizen, Fossil, Invicta, and more. And the third type of movement that I want to cover is the Automatic movement. It’s still mechanical to its core. However, you don’t have to “wind” anything here. The engine will power itself thanks to the movement of your wrist and arm. And this reserved energy could help the watch last for a few days to even weeks depends on the design of the watch. And with this type of movement, you can rest assured with the time accuracy aspect as well though they’re not as accurate as the Quartz. Although I prefer the Quartz-powered timepieces since they’re accurate and are the most stylish in my opinion, the best mens watches by others’ definitions could be powered by any of the above engines. What crystal material should it be? The watch crystal, or the dial window, is another important part that you should pay attention to when picking up your new best mens watches. Like with the movement, there are basically 3 main materials used to create the crystal. They’re plastic, mineral, and synthetic sapphire. Plastic, or acrylic if you prefer “fancy” terms, is mostly used in digital watches. And its biggest advantage is the great ability to resist shattering. But it’s more vulnerable to scratches. However, the scratches on plastic windows can be removed easily. They’re cheap also. Mineral is another kind of popular watch crystal. It’s made of heat-treated glass that can resist both scratches and shattering. However, once it’s scratched, it’s not as easy to clean away as with plastic. And this type of crystal is also not as hard as sapphire also. So, it’s like in the middle of everything. And finally, synthetic sapphire is the toughest of all when it comes to watch crystals. Although it’s man made, it still has the hardness to resist almost all kinds of scratches except from diamond cuts. It’s not shatter proof also, but you should know that it’s really hard to shatter this kind of crystal with the normal activities you have everyday. Sapphire is a bit more expensive than other materials. That’s the reason why you will see mens watches with sapphire watch dial are often sold at much higher prices. But it’s well worth it in my opinion since you don’t want your watch to get damages beyond fixable. The watch case is another important part of a watch that you need to pay attention to. It’s like a shield to protect the watch from shock, damage, and scratches. The most common material of all to use for this is stainless steel. It’s a heavy material used mostly in sport and aviation mens watches. The advantages of stainless steel is its resistance against scratches and can protect the watch from shock pretty well. It’s also a good anti-corrosion material. The only disadvantage that this material has is it can be allergic for people with sensitive skin. However, it’s very rare. Another great material used to craft the watch case is gold, especially 18k gold. These 18k gold alloys are more malleable than stainless steel and can be transformed into 3 colors for the case which are yellow, pink/rose, and white. It’s also a durable material that watch manufacturers use mostly for complicated chronographs such as the ones with perpetual calendar, tourbillion, etc. And it also represents the styles and might bear the memory of life’s important events of any man. Perhaps the biggest disadvantage of gold is price since gold is already an expensive metal. And here is a note, your next best mens watches might be made of gold, but that doesn’t mean all gold wristwatches are that great. So, pick your card carefully. And the third material for watch case you should know about is titanium. 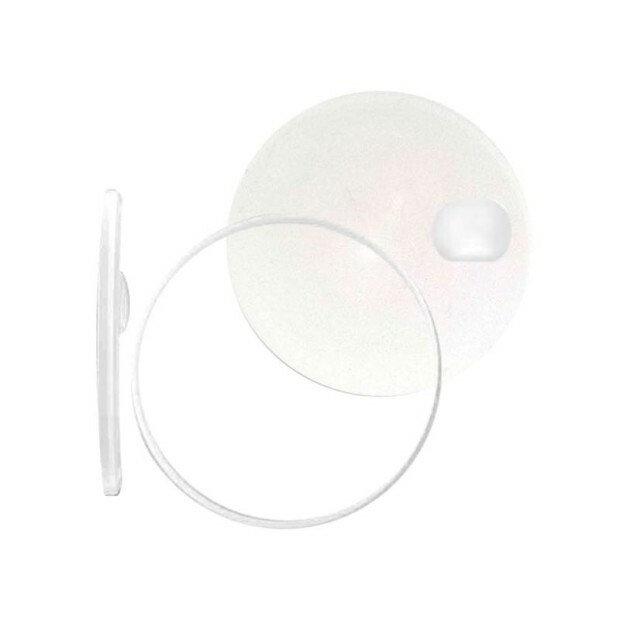 It’s lighter than stainless steel yet very durable and allergic-free. It can also withstand almost all kinds of corrosion and can stand up against very high temperature. The silver color of titanium makes it very attractive to use in mens’ jewelries such as watches. But like any other materials, titanium has its Achilles heel. It’s a bit easier to take scratches comparing to stainless steel. And once it takes, it’s very hard to remove the scratches. What to consider with the watch band? If the case is what protects the watch from harm, then the band of the watch is what create the style for the bearer. There are basically 4 main materials used for this part of mens watches. They’re leather, nylon, rubber, and metal in general. The leather band can be made of many different skins from animals ranging from cow, horse, crocodile, to pig, calf, and even ostrich. This type of band is often found in sport watches and dress watches since it makes great look and often goes smoothly with a nice suit. Many watchmakers these days have this type of band for their products. And although mens watches with leather bands are definitely among people’s most picked up products, it doesn’t mean you should follow the crowd. Your best mens watches by definition might be the other way around. Nylon strap is another kind of band that you will often see in modern’s timepieces. It’s cheap, and can be replaced easily. 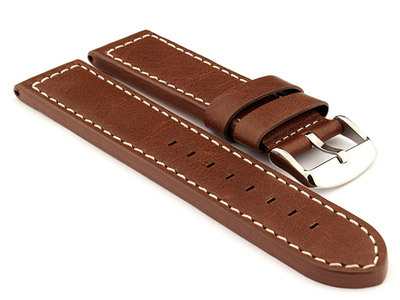 You can see this type of watch band in action with mostly fashion wristwatches especially for women since they can offer a wide range of colors and hold an “energetic” feel that people love. If you’re with dive watches, then you will often come across rubber bands. The reason why rubber bands are chosen for diving watches is because they’re resistant to water and sweet, and are comfortable on the wrist. And last but definitely not least is the metal bracelet. You will often find that the bracelet will be crafted with the same material as the case. So, if you have a steel case, then the bracelet will be steel as well. And the same is true with gold and titanium. The advantages of metal bracelets are quite obvious. They’re much more durable than any other materials, often look more stylish, and are cooler for the wrist during hot days. Perhaps the first thing you need to know in this section is that there is no watch with the “waterproof” ability you’re searching for. Means the watch can only resist water pressure to some extents. But just for familiarity sake, I will still use the “waterproof” term here. A water-proof watch might not be a great watch, but the best mens watches out there SHOULD have this feature. So, keep that in mind. And one of the most important things you need to look for in a waterproof watch is a screw-down crown. It acts like a safe seal that will protect the inner parts from harm of water. To talk about special functions a wristwatch have will be a bit too much since there are a huge range of features that watch manufacturers imbedded into their products in order to deliver more value to customers. But there are some popular special functions that you will often come across such as chronograph subdials for stop/split timing, luminous watch hands for easy reading in dark environments, day/date window, dual-time display, alarm, and more. And my advice here for you is to pick up the watch that offers you exactly what you want to have and don’t try to go with too many features since the watch might be much more expensive and you won’t use all of them anyway. Style is a matter of personal choices. So I won’t dive too deep into this subject. But let’s take a look at a few examples so that you will understand what you need to do in order to pick up the best mens watch for your money. If you’re a businessman and you have to meet up with clients and hold meetings that much, consider picking up mens watches with metal case and bracelet since it fits much better than a nylon-strap watch in those situations. On the other hand, you might want to have for yourself that same nylon-strap watch when you’re going outside hanging around with people in a nice summer day. And for prices, well, just don’t go broke with the watch you want to buy even if other people tell you that their luxury wristwatches are the best mens watches you should look at! Unless you have money to burn and are an enthusiast watch collector, a watch that priced at a few hundred dollars or less with multiple functions like I listed above is enough for you. That’s what I have for you today with the subject of picking up the best mens watches that will fit your needs, styles, and budget. There are definitely more to discuss about this subject matter. But I believe that with the above information, you’re now much more aware of what would make the ideal timepiece for yourself. You can take a look at my collection of the best mens watches from Bulova, Casio, Citizen, Fossil, Invicta, Omega, Seiko, Skagen, TAG Heuer, and Timex for more inspiration.